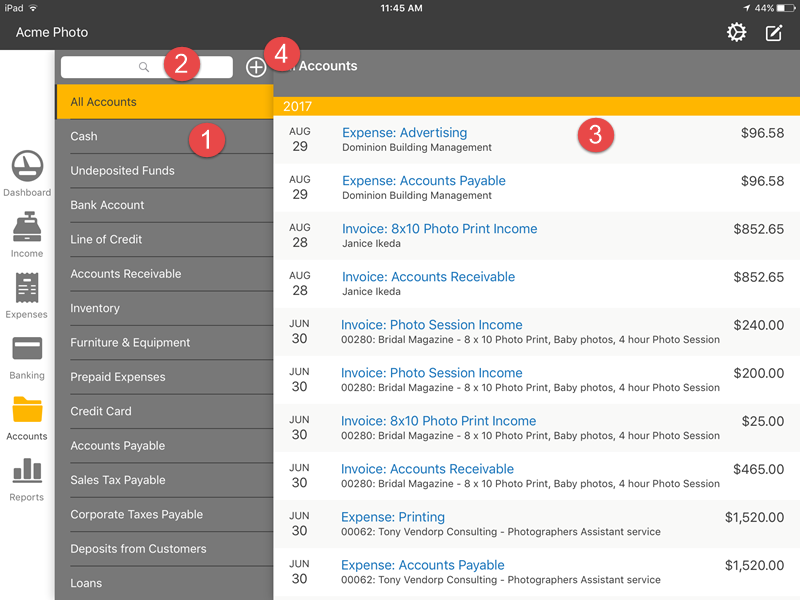 Learn how to use the Accounts section of the iPad app. 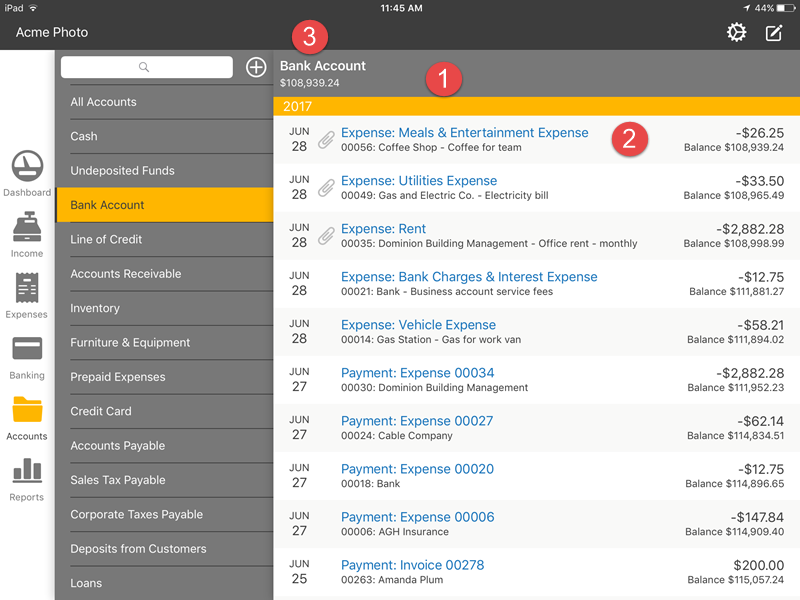 The Accounts section can be accessed by tapping on the Accounts icon on the left-hand side. The Accounts section will show you a list of all the transactions you have in Kashoo no matter what the account they are allocated. To see the transactions for a specific account you will need to apply a filter. When you tap on the filter icon you will see a list of all your accounts. If you are familiar with accounting, this would be your chart of accounts. You will find your asset, liability, equity, income and expense accounts.